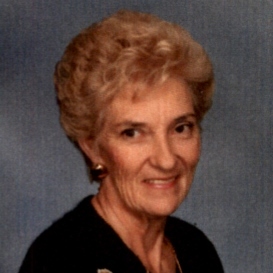 Patricia Ann Campbell passed away peacefully on Monday, April 1st, 2019 in her home with her family by her side in Concord, California. Patricia Ann Cathey was born in Merced, CA to Pansy A. Westfall and Mark C. Cathey. She married Mahlon Wesley Campbell and they had five children: Phil, Mark, Tim, Dan and Cheri. She was a proud grandmother of 11 grandchildren and 11 great- grandchildren. Patricia enjoyed camping, gardening, traveling and Bocce. Her passion was square dancing, her pride was her family, her joy was her friendships.